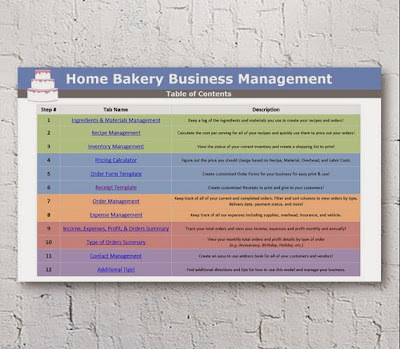 Earlier this year Josie Acosta created a spreadsheet model for her mom who has a home based bakery business based in Florida to help her calculate the price of her cakes and manage her business. Since then, Josie has been selling the model on Etsy and have gotten great reviews! Josie's mother Olga has been using the model since the beginning of the year and it has definitely helped her to see her true profit. In the past she wasn't doing the best job at tracking her expenses and after entering her information into the model we found out that she was actually losing money on some of her orders. BTW, if you are in the Melbourne, Florida and need a cake, then order from Olga's Delicious Cakes. This spreadsheet is a good way to started with managing expenses. As your business grows, you may want to check out Xero.com, a cloud-based accounting software. 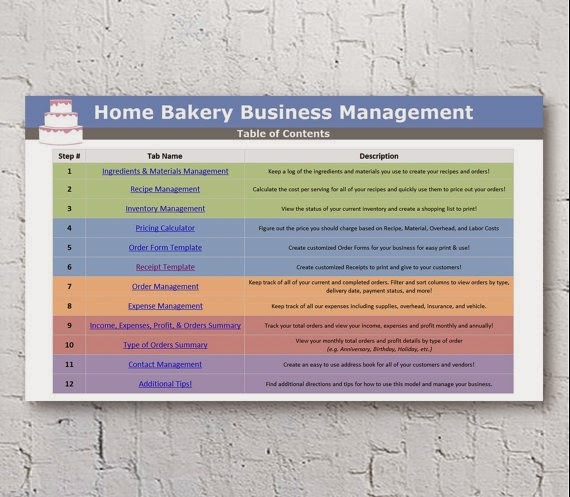 We are doing a giveaway of the Home Bakery Business Management Excel Spreadsheet Model. Wow hope to win this!